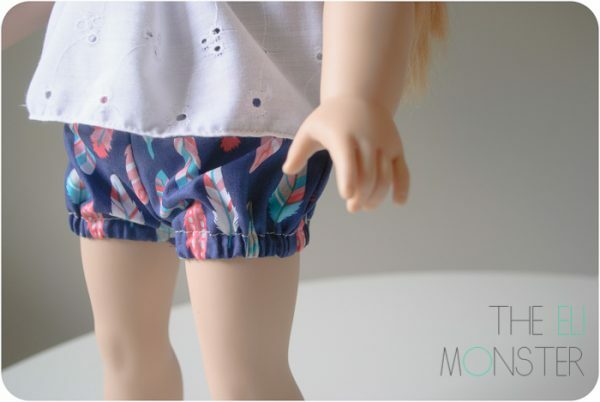 The Bubbla Shorts are sure to become a staple in your little one’s best friend’s wardrobe. Elastic in the waistband allows for easy dressing and a cute bubble shape adds a bit of whimsy. Perfect in a chambray or seersucker for summer or sew up a pair in corduroy or wool and wear with tights and a blazer for an awesome winter look. 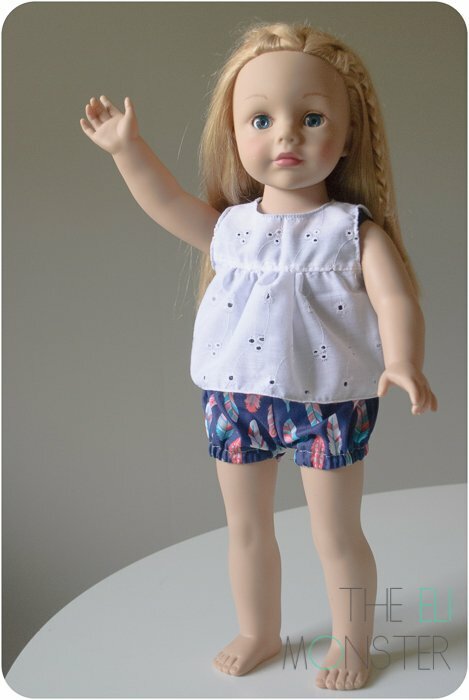 Sized to fit 18″ dolls (American Girl or comparable dolls) and 15″ Waldorf Dolls. 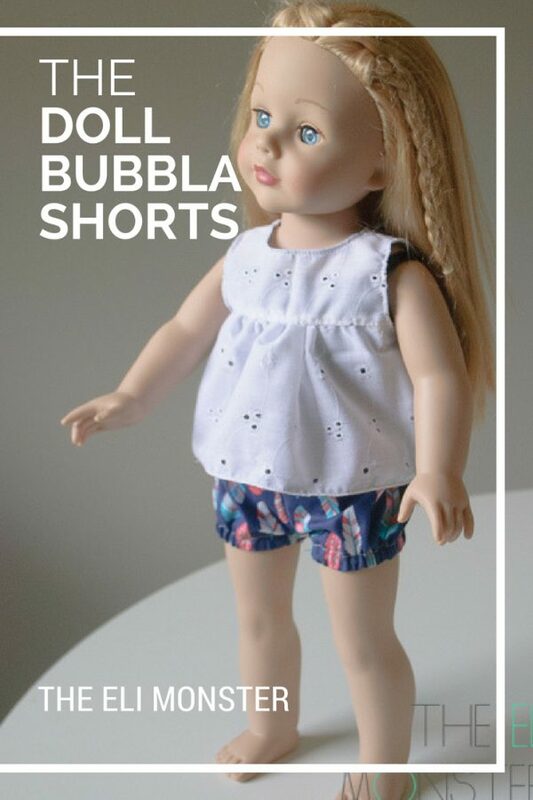 The Bubbla Doll Bubble Shorts Sewing Pattern is sure to become a staple in your little one’s best friend’s wardrobe. Elastic in the waistband allows for easy dressing and a cute bubble shape adds a bit of whimsy. Perfect in a chambray or seersucker for summer or sew up a pair in corduroy or wool and wear with tights and a blazer for an awesome winter look. Like the rest of The Eli Monster’s patterns; The Bubbla Doll Bubble Shorts Sewing Pattern is layered which means you only need to print the size you are making! All steps are accompanied by full-color photographs so you never have to guess where to sew or place. Furthermore, all pattern pieces are computer drawn; to save paper, cutting dimensions for rectangular pieces is included in lieu of drawn-out pieces.